AGONY Empire 86, Rote Kapelle 42. So that ends our AT11 run. We were a top 12 team this year, as compared to a top 16 team last year, so it's an improvement but not as much of one as we were hoping for. I haven't watched the twitch video replay but I'd be surprised if the commentators weren't going a little nuts because at first blush it probably looked like eight minutes of an incredibly even match. We even pulled ahead by four points at one point. And at the end of the day that's the kind of fights that Rote Kapelle likes: closely-fought brawls. You're probably not going to ever see us run a tinker kind of comp because we find that kind of fight boring. So yeah, it was fun but the close match was kind of an illusion because we caught a couple of bad breaks. Click the link above and select the "3D Match Viewer" and it unfortunately shows a really nifty trick that AGONY pulled on us during that minute. At 30 seconds into the match, zoom in on our captain Bob Shaftoes and you'll find he gets webbed and scrammed by an Enyo piloted by Gizznitt Malikite with a second Enyo holding nearby as backup. Bob is pinned down about 20km from the beacon. Meanwhile, the other Enyo and two Incursi dive for RuriHoshino in our Basilisk and they likewise scram and web him at about 65km from the beacon. Fortunately, the AGONY team didn't bring damps -- had they done so, Bob probably would have collapsed right there -- but what they did bring were unbonused jams in the two Tristans. Soon after Bob and Ruri were tackled, Ruri got jammed for a critical 20 seconds. Bob went down shortly thereafter. From that moment forward we were trying to stop the bleeding. I'd say it's a testament to our pilots and our practice how long we were able to hold out after that. 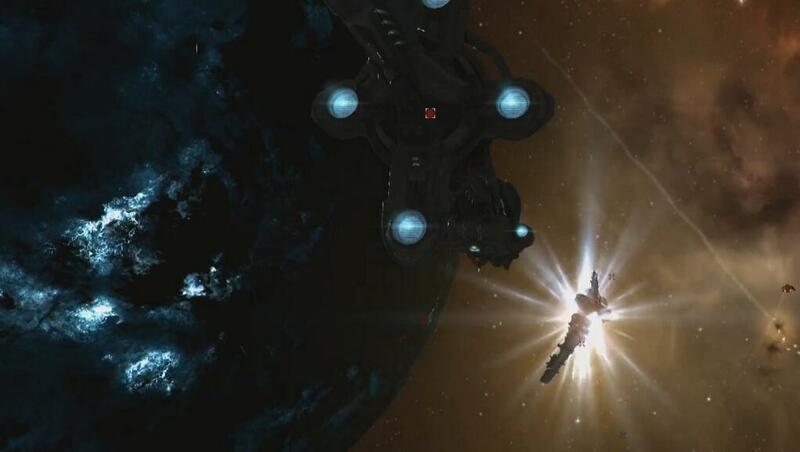 Mat Westhorpe seems to enjoy screenshots of me dying because he captured another nice one. gf, AGONY! But more about them and what happens next in my next post. Over at the AT11 stats page, the "win" was expressed with this really amusing bar graph. Blue are ships destroyed. Red are ships lost. Look where the #1 team in Alliance Tournament 11 is. Compare and contrast to where Rote is, who came in 11th or 12th. Hee! [19:27:09] WarGod > RefID: 1011458459925 Your friendly insurance company has transferred 34,999,292.00 ISK into your account for the recent loss of your ship. All in all, a lot of really great matches today! All the matches that I thought would be squeakers definitely were. Overall, I think CCP has reason to be very pleased. I think this was the best single day of Alliance Tournament since I started watching them. Everyone gave the audience a great show. Next up: a couple more wrap-up items on today, then a preview of tomorrow. (1) Commentator fumble today: none of them seemed to have noticed that AGONY was in the loser's bracket because they had previously lost only to Pandemic Legion. Well, actually, we had unbonused jams on one Tristan, and unbonused damps on the other Tristan that I was flying :) I just didn't get the damps over onto Bob because they were in use elsewhere :) This was a TERRIFIC fight, we knew you'd bring a good fight and figured it'd be a brawl, and Rote really delivered. We thoroughly enjoyed it, even as we were having heart-attacks throughout the entire fight, wondering if we were going to make it or not! Exploding prize-ships aside my favorite match has to be CVA nearly taking Darkside with those kool-aid man Typhoons. Why does everybody conveniently forget those AT prize ships are paper value? HYDRA got them essentially for free and every time they lose one the paper value on the remaining stock goes up. @Kaeda - "opportunity cost". If they had sold the prize ships on the market, they could have yielded some crazy billion ISK from them. Same way as a miner's minerals are not "free", they still have a value. I'm familiar with the concept, but no time was expended on these ships. And also the remaining ships (also owned by HYDRA) went up in value, so it's debatable if the even lost any paper value at all.